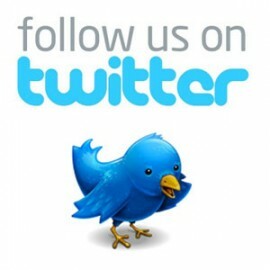 All general articles and posts regarding the Vatican in general end up here. It is kind of a storage for all sorts of information regarding the Holy See, the Vatican and Rome. By the prophecies of Irish St. Malachy the next pope will be last, will be known as Peter of Rome and a great Armageddon will happen during his papacy. With the resignation of Pope Benedict XVI, the first pontiff to step down in almost 600 years, Malachy’s prophecy has garnered renewed attention — not least because, on Malachy’s list, Benedict was number 111. The Prophecy of the Popes (Latin: Prophetia Sancte Malachiae Archiepiscopi, de Summis Pontificibus) is a series of 112 short, cryptic phrases in Latin which purport to predict the Roman Catholic popes (along with a few antipopes), beginning with Pope Celestine II. The alleged prophecies were first published by Benedictine monk Arnold de Wyon in 1595. Wyon attributes the prophecies to Saint Malachy, a 12th‑century Archbishop of Armagh, Ireland. Malachy used a short phrase in Latin to describe each Pope, beginning with Celestine II and “From a castle on the Tiber.” That Pope’s birth name was Guido di Castello. More recently, he described Pope John Paul I. with the phrase: “From the midst of the moon.” His reign, which began in 1978, began with the moon half full and lasted only one month – or one moon. He was followed by Pope John Paul II. by the Latin expression “Laboris Solis” – or translated “From the labor of the sun” – an expression meaning a solar eclipse. As it turned out, John Paul II was the only known pope to be born on the day of a solar eclipse – and he was buried on the day of a solar eclipse. With the departure of Pope Benedict XVI., the question coms up, which turns the career of his private secretary Georg Gänswein will take. The 56-year old southern German could become an important link between the old and the new Pope or take over one of the large German dioceses as Archbishop. Even during the last hours bevore his retirement, the always loyal Gänswein did not leave the Pope’s side. He will also spend the upcoming weeks in the papal summer residence in Castel Gandolfo with him, and after that move in the convent of Mater Ecclesiae in the Vatican with the former Pope, which is being renovated for Benedict. 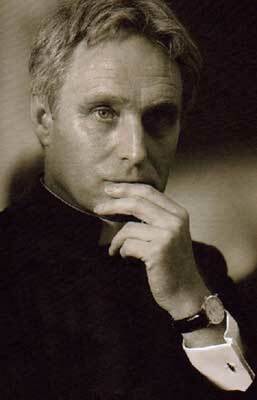 Benedict XVI. had installed Gänswein as the Prefect of the Papal Household only in December and simultaneously appointed him Archbishop. The new Archbishop was assigned the titular see “Urbs Salvia” (Italian: Urbisaglia) in the central Italian region of Marche. Thus, Monsignor Gänswein moved a bit up the stairs in the Church hierarchy, what had been expected in Rome for a long time. Soon servant of two Popes? Gänswein could subsequently come in for a double function: He is supposed to work for the old and the to be elected new Pope. Gänswein would “remain Prefect of the Papal Household, and secretary of Benedict,” Vatican spokesman Federico Lombardi announced just recently. The role of the Prefect of the Papal Household is a key role for the daily routine of the Pope, as he is among other things responsible for the reception of heads of state. Continuity on this field seems to make sense But it holds room for speculation: If he stays as private secretary intimately connected with Benedict and also organizes a part of the everyday life of the new Pope, it is likely to raise questions about whether or not Benedict would be trying to influence the church through Gänswein. 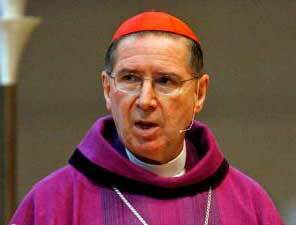 The, burdened by an abuse scandal, Ex-Archbishop of Los Angeles Cardinal Roger Mahony, may in the opinion of Cardinal Velasio de Paolis attend the papal election, despite ecclesiastical sanctions. “According to the regulations, every Cardinal under 80 had the right and duty to appear at the Conclave”, said de Paolis, former Secretary of the Supreme Church Court of the Signature, to Italian newspaper “La Repubblica”. The 76-year-old Mahony is under fire because of his handling of abuse cases in his time as a Diocesan director from 1985 to 2011. According to archive documents, published in January by the Archdiocese, Mahony specifically protected pädophile priests from the State prosecution. 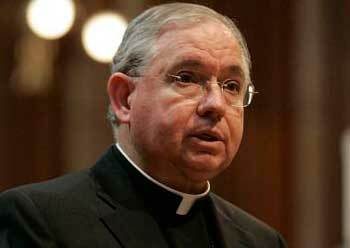 His successor Archbishop Jose Gomez called the acts “brutal and painful to read”. In an unprecedented act for the American Church, he relieved Mahony from all remaining positions and banned him from public work in Los Angeles. Two days after his historic resignation announcement, the Pope showed up publicly on Wednesday again. He thanked the faithful for prayers and great sympathy. “I have felt love for me the in these days”, said the outgoing head of the church in a short speech before the General Audience in Rome. 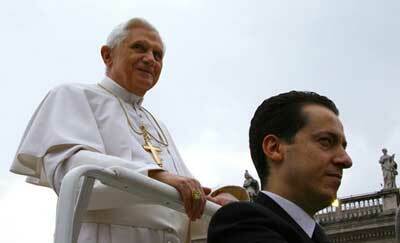 Benedict reiterated the reasons which led to his decision. The decision was made in “full freedom” for the good of the Church, Benedict stressed before thousands of faithful in the Nervi Hall. 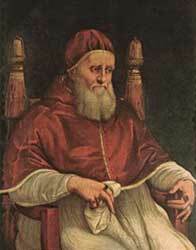 He had become aware that he could no longer continue papacy with the necessary power. He had decided to resign, “long after I prayed and examined my conscience before God. I am aware of the gravity of this process, but at the same time I realize that I am no longer in a position to exercise the Petrine ministry with the power that demands it”, the Pope said. He is encourage by the certainty that the Church belongs to Christ, who never lacked guidance and care. “I thank everyone for the love and prayer with which they have been with me. Continue to pray for the Pope and for the Church! I felt the power of prayer in those for me physically challenging days, “the Pope said. Lombardi confirmed that the pope would live in a part of the nunnery in the Vatican. A wing of the monastery was currently being restored. The monastery with twelve cells extends over four floors. There is also a chapel and library. Around the monastery there is a large garden, where vegetables and fruit trees grow . The monastery is an oasis of calm in the heart of the Vatican.